Otessa Ghadar has been breaking ground in new media since 2007 and is widely praised for her pioneer work in the web series format. 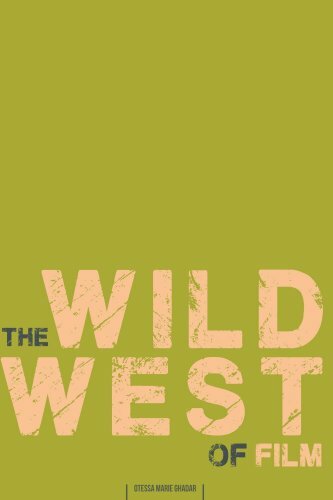 Her book, The Wild West of Film, takes readers step by step through the script-to-screen process. It focuses on specifics of the “small screen,” including short form script-writing and story structure, budgeting and breakdowns, post-production for online viewing, self-distribution, best practices for social media, film festival lists & strategies, and more. The Wild West of Film: Social Media, Chapter 8 of the full book, is now being used for a course at American University. The full book and each individual chapter are available as an ebook or in paperback. Only need to dive into one or two subjects? Each standalone chapter is available on Amazon for Kindle. The emergence of Web TV allows anyone with a creative mind the chance to gather a worldwide audience […], Otessa Ghadar is taking advantage of the growing trend. There aren’t many non-reality web series that manage to be creatively, critically and commercially successful, but the teen drama Orange Juice in Bishop’s Garden [produced by Otessa Ghadar] definitely achieves the trifecta. The great personal stories she intersperses as her ‘tales from the trenches’ in the book draw most effectively from her experiences in a place where few had gone before. Whether the Wild West in her title describes her time starting out or the world of online video today is no matter. The book is meant to give notes from an early explorer (think Lewis and Clark), serving advice for would-be filmmakers on scripting, storytelling; directing and cinematography; fundraising; production planning; editing and post-production; marketing and promotion; web analytics; distribution; web design; and more. Long before the television networks ever heard the word webisode, pioneer filmmakers like Otessa Ghadar were making those webisodes and posting them on the Internet. This a really great guide on the script to screen process. The Wild West of Film is an excellent educational text that provides film students and amateur independent filmmakers with a comprehensive overview of the modern independent filmmaking process. Otessa Ghadar uses her experience as a filmmaker and web series creator to provide unique insight on the realities of being an independent storyteller in the digital age. As a teaching assistant in a directing course that used The Wild West of Film as its primary text, I can say that the book served as a valuable resource for the students, providing them with a strong foundation of knowledge for each stage of the filmmaking process.